If envy were tangible and had a shape, American syndicated columnist Charley Reese once said, it would be the shape of a boomerang. That’s because, of all the negative emotions, envy is one of the most self-destructive—those who are in the throes of it end up hurting themselves in many ways, because envy engenders a family of related feelings, including frustration, sadness, indignation, resentment and anger. Of course, no one readily admits to feeling envy. It carries with it guilt, shame and embarrassment and is seen as a sign of weakness. But the truth is, everyone has experienced it at some time or other, and those who say they haven’t are either saints or liars. 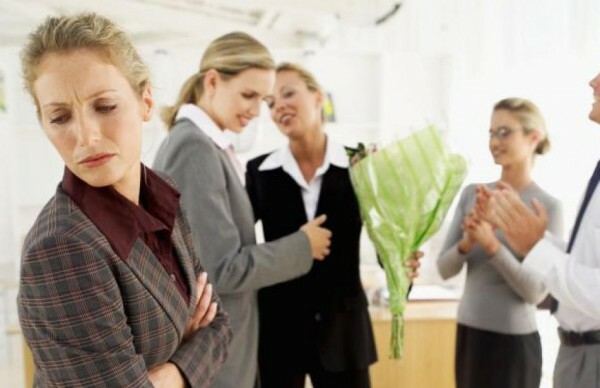 “Envy, the unpleasant emotion that can arise when we compare unfavorably with others, is a common experience for most people regardless of culture,” says Richard H. Smith, the lead researcher on envy at Kentucky University. Just whom do we envy? Scientists show that we envy people we consider similar to ourselves but who appear to have greater advantage in an area that’s linked to our self-worth, such as our professional accomplishments. There is no better antidote for envy than to be so busy with your own achievements that you have no time to envy the achievement of others. Pursue your course of excellence to the point of fanaticism. Produce first-class work for the sheer pleasure of it, regardless of how it compares to anyone else. If you need a shot in the arm to inspire you in this regard, watch Robin Sharma’s video, How to Unleash Your Greatness in 2014. Given the inherent competitive nature of organizational life, it’s quite easy to unwittingly create situations that provoke envy among staff members. Use fairness in the way you promote people, guard against using praise of some employees as a manipulative strategy to make others feel bad, and avoid playing favorites. While you can’t avoid every situation that might provoke envy, an easy one to manage is the passive use of Facebook. Research conducted by scientists in Germany shows that “access to copious positive news and the profiles of seemingly successful ‘friends’ fosters social comparison that can readily provoke envy.” Profile embellishments and photos of lavish vacations, for example, can negatively affect a person’s satisfaction with his or her own life. Is Facebook having a negative effect on your emotional life? If so, make some changes. For instance, block notifications from the individuals who are inspiring envy in you. If you envy people for their achievements, consider the trade-offs that led to that success. For example, writing a book is time-consuming and robs you of time spent on other activities. It can usurp not only precious time but may require dealing with rejection and fear of failure. Having a position that requires travel to exotic locations may supplant spending time with family and enjoying watching your kids grow. Think of the sacrifices that people might have made and the price they’ve had to pay to get to where they are. It might mitigate some of your feelings of envy. Ultimately, your achievement today is, in large part, about the choices you make. Walt Whitman once said, “The habit of giving only enhances the desire to give.” Get in the habit of appreciating the success of others without feeling diminished yourself. Send an email to congratulate a business associate on their success, pick up the phone to compliment someone on her achievement, praise someone for a stellar presentation, and share others’ good news with your network. The more you practice these gestures, the more you expand your capacity for generosity and lessen those feelings of envy. In the end, you need to come to terms with the fact that indulging in envy is a waste of mental energy and a productivity killer. As Joseph Epstein, author of Envy: The Seven Deadly Sins, puts it, envy is “very poor mental hygiene.” It blocks out clarity both about ourselves and those we envy and lowers our opinion of ourselves. “Envy clouds thoughts,” Epstein says, “clobbers generosity, precludes any hope of serenity, and ends in shriveling the heart.” These are all reasons enough to fight it through self-honesty, self-analysis and emotional intelligence.